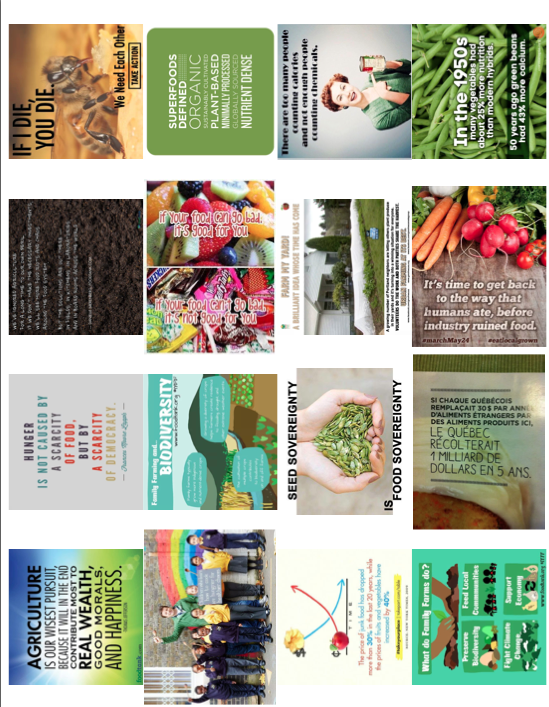 The Social Media Exhibit is part of a research project about social media and the food movement. 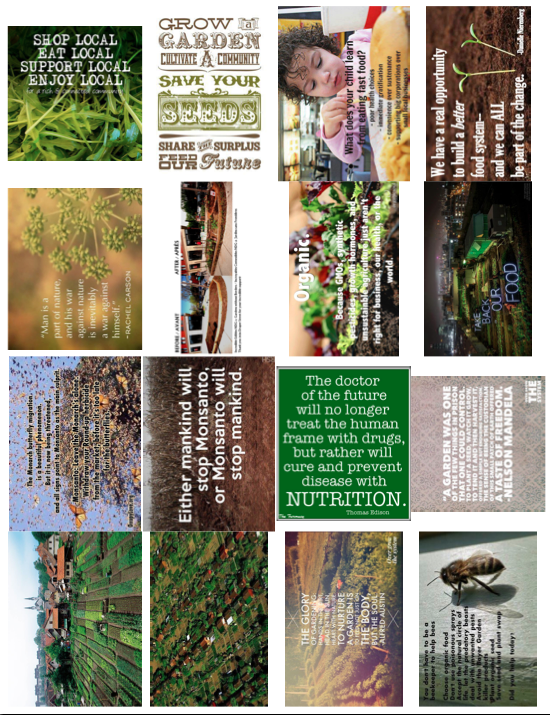 These images have been collected over a period of three years and divided into categories: health, economics, political, activism, agriculture, anti-GMO, bees, empowerment and the grow food not lawn movement. It integrates the diverse voices of the food movement, presenting them collectively, and shows how they intersect within a common dialogue about food systems shifts. The Lexicon of Sustainability produces information art and exposes it through a curatorial network to highlight food systems actors and promote discussion about shifting the food system.